Well, the hard work paid off! After few days hard work trying to finish the shale car for Lynn, I have to say I was more than happy with the performance and the looks. 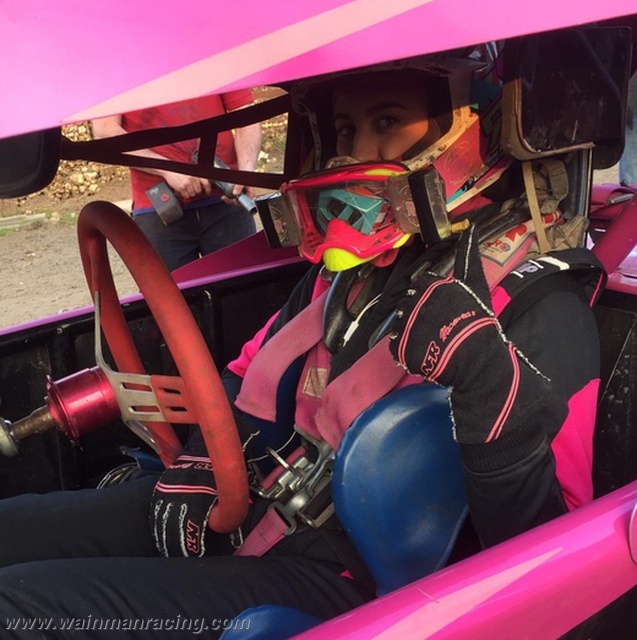 The atmosphere and the racing was superb and even though I got tangled up a few times I had some good racing with everyone, and managed 3 second places and a good haul of national points to start the season. A massive Thank You to Steve Reedman at AKA for an awesome paint job and quick turn round, to Billy Higgins at Fly Signs for an immaculate sign job, to all the lads who put the hours in to make stuff happen, and to Sam and the kids for the help and support. I had a brilliant night at King’s Lynn last night!? Got a good start in the Whites & Yellows race and the car felt really quick. A few laps in, there was a stoppage and my starter motor broke so I got pushed off as it wouldn’t start again and wouldn’t bump off! Heat 1, I was going really well but I got taken out on the last bend just before the flag meaning that I was in the Consolation. The Consolation was a brilliant race! I was battling with some really good drivers and was actually starting to pull away from really fast and experienced drivers! I finish in 4th which I was over the moon with, and meaning that I have qualified for the final! The Final was such a quick race! 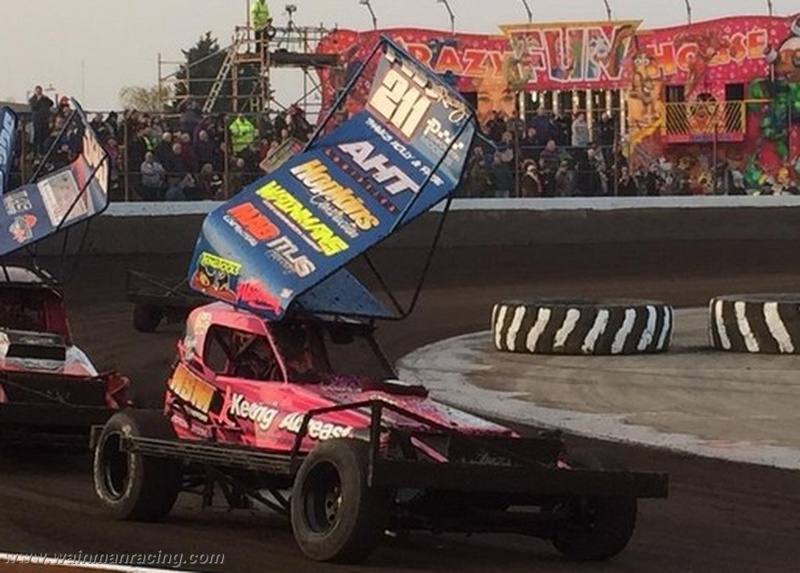 I got tangled up with Chris Cowley on the first lap – it’s not a shale meeting for me if I don’t get tangled with Chris, we’re like magnets on track! We both carried on going and I pretty much sat behind him for the rest of the race, and after a couple of yellow flags I managed to finish in 7th!! I was ecstatic! I didn’t do many laps in the National before I went a little too wide into turn 1 and put myself in the fence. I got a front outside flat and had to pull off! 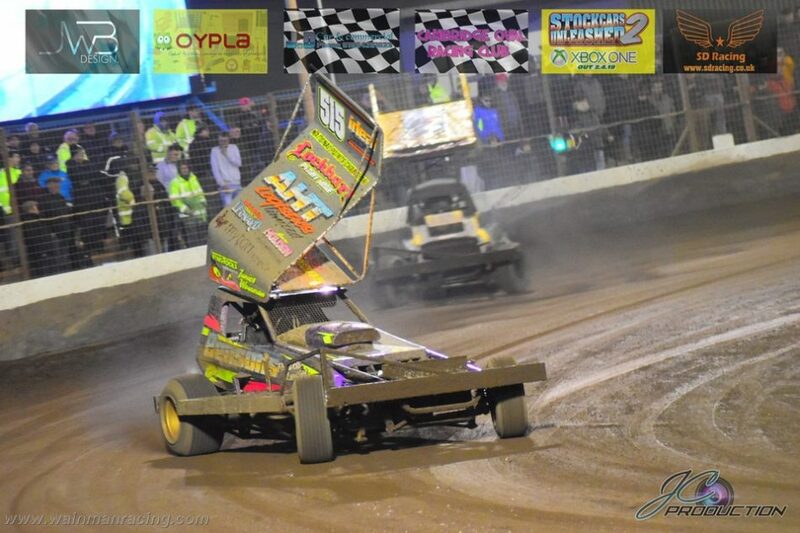 King’s Lynn is hard and I was really trying to push myself to see where I was quickest, this time it didn’t work out but at least I know for next time. I am pretty happy with the meeting and how quick my car was! 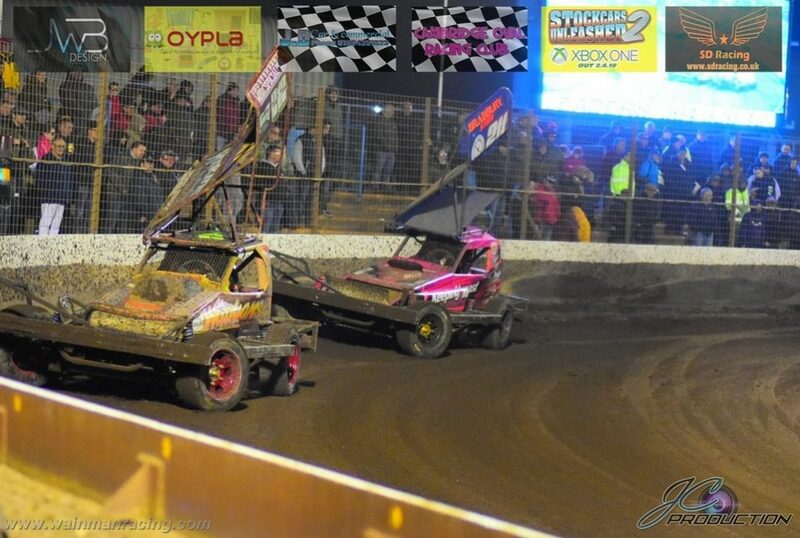 Can’t wait for Mildenhall next weekend! God it’s good to be back!